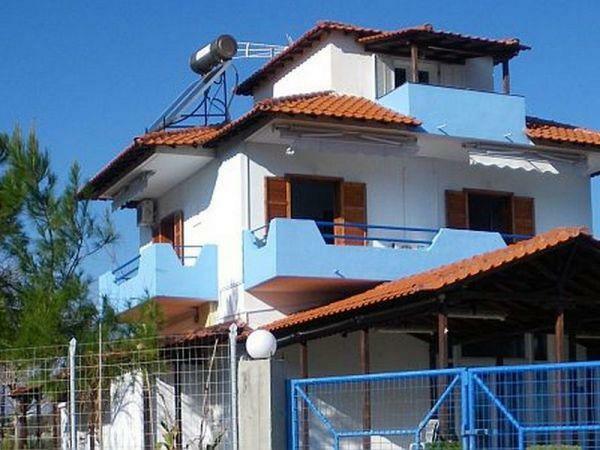 Apartments and rooms in Kriaritsi Halkidiki. The Kriaritsi is a small village and one of the most beautiful coastlines in the Sykias area on the peninsula of Sithonia in Halkidiki. Lies between Sykia and Kalamjtsi on the east side of Sithonia and is approximately three miles from the main road. It is one of the most enchanting beaches of Halkidiki and opposite are the small islands, Ahinoi, Petalides and Skepes, and if the weather is clear in the morning you can see the island of Lemnos and Ai Stratis.